Hey there spice fans! I’ve been meaning to post this recipe for a little while. 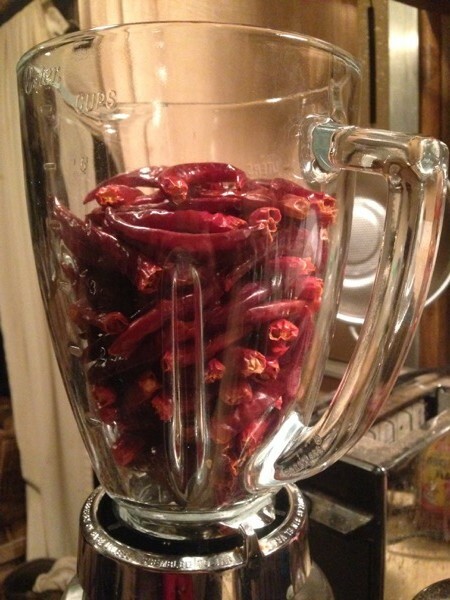 Last season we offered two types of pick-your-own hot peppers: a thai pepper called Bangkok and a cayenne called Red Flame. They were quite prolific. 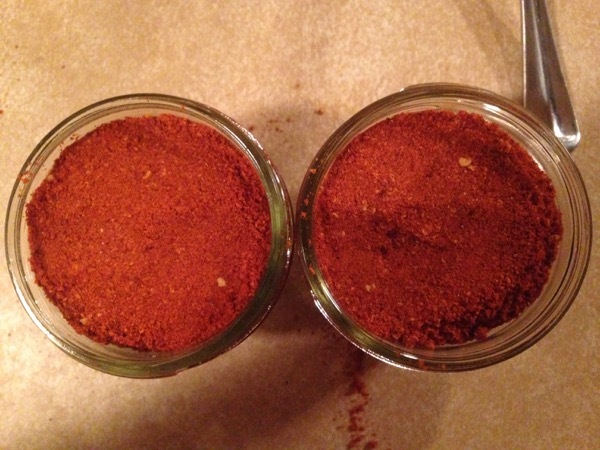 In an effort to save these spicy gems for later, I decided to dehydrate them and grind them into an amazing homemade ground cayenne pepper of sorts. It makes a great gift. 1. 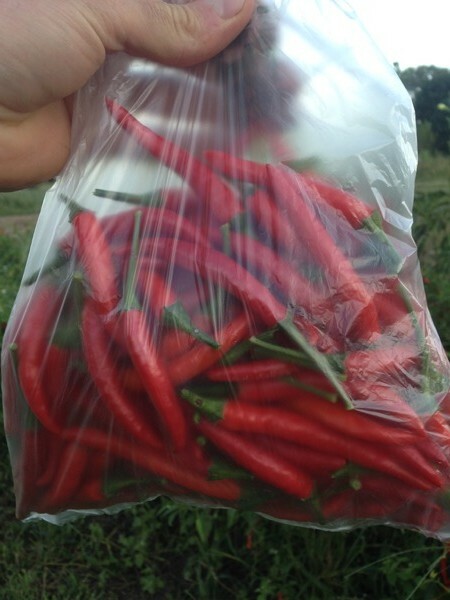 Fill a bag with a generous amount of thai peppers from our pick-your-own patch. 2. Cut off the stems like so. Be careful not to touch the exposed, spicy part with your bare hands and if you do, don’t touch your eyes. 3. 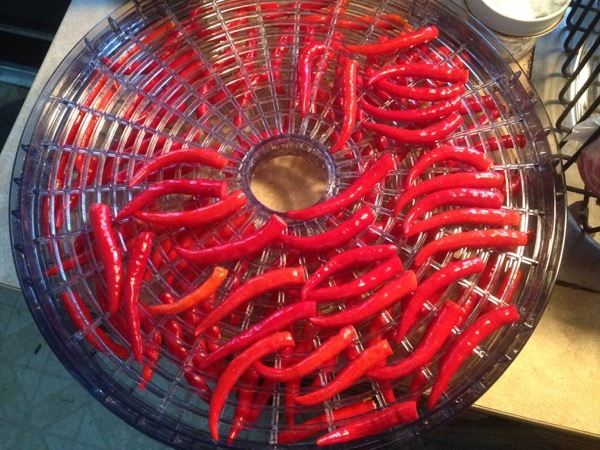 Place the peppers on your dehydrator. I filled up 2-3 trays. 4. Dehydrate for 24 hours or until fully dry. You should be able to crush the peppers easily. 5. 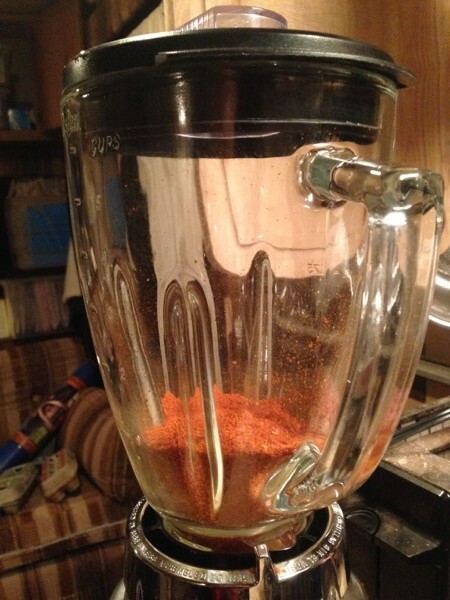 Put all the dry peppers in a blender and proceed to blend. 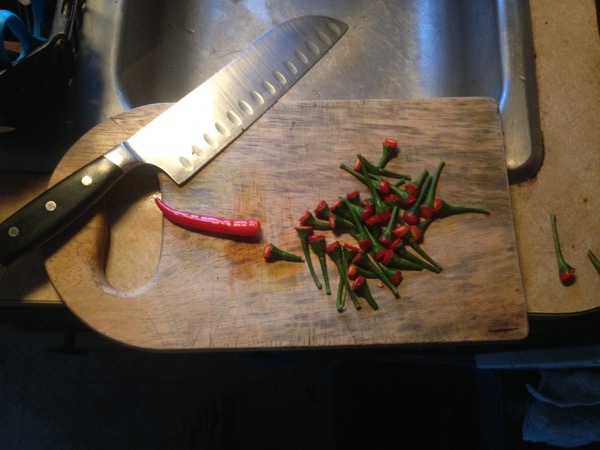 Between pulses I recommend using a wooden spoon to push down the peppers until they are all uniformly ground. Be careful not to breathe in the dust. Notice how much the peppers reduce in size. 6. 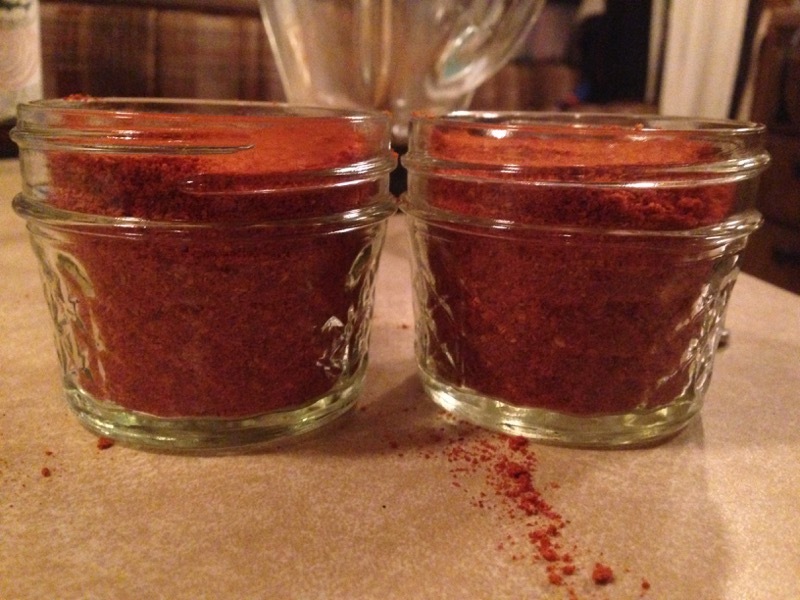 Fill up a container or two with your delicious homemade cayenne pepper.